ARM Holdings PLC, Cambridge, England was originally founded as Advanced RISC Machines (hence ARM) in 1990 by Acorn Computers, Apple and VLSI Technology. A "reduced instruction set computer" (RISC) design approach means ARM processors have a simpler instruction set and require significantly fewer transistors than "complex instruction set computers" (CISC) such as the Intel x86 series processors used in most desktop and super computers. The RISC approach reduces costs, heat and power. These reductions are highly desirable traits for light, portable, battery powered devices such as smartphones, tablets, notepads and embedded products such as set-top remote controllers. A simpler design makes multi-core computers more efficient with lower costs saving critical power in the server market. ARM Holdings develops the instruction set and architecture for ARM based products, but does not manufacture the semiconductors. ARM Holdings licenses the chip design IP (intellectual property) and the instruction set architecture IP to third parties who then design their own products. Some of the companies that manufacture chips that implement an ARM architecture include Apple, AppliedMicro, Broadcom, Cypress Semiconductor, Freescale Semiconductor, Nvidia, Qualcomm, Samsung Electronics, ST Microelectronics and Texas Instruments. 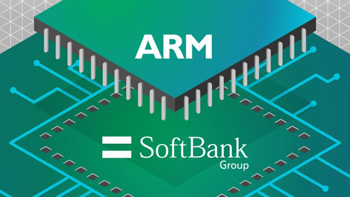 ARM licenses processor designs to fabless companies such as Qualcomm and Nvidia, who then get their chips made by contract manufacturers like TSMC. Licensed companies are allowed to incorporate some of their their own unique design features. ARM periodically releases updates to its cores. ARM processor architectures are designated by the prefix "ARM" and one or two digits, such as ARM7 or ARM15. Product designs have a name such as Cortex-A7, where the last digit(s) indicate the version. Current cores from ARM Holdings support both 32-bit and 64-bit address spaces. Globally ARM is the most widely used instruction set architecture in terms of the chip quantity produced. 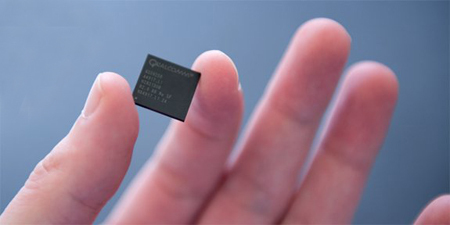 The low power consumption of ARM processors has made them extremely popular. As of the end of 2014 over 50 billion ARM processors have been produced. In early 1992 the Apple ARM collaboration evolved into the ARM6. Apple used the ARM6 based ARM610 as the basis for their Newton personal digital assistant (PDA), the forerunner to the smartphone. In 1994, Acorn used the ARM610 as the main central processing unit (CPU) for their RiscPC computers. DEC licensed the ARM6 architecture and produced the StrongARM. At 233 MHz, this CPU drew only one watt. The StrongARM work was later passed to Intel as a part of a lawsuit settlement, and Intel took the opportunity to supplement their i960 line with the StrongARM. Intel later developed its own high performance implementation named XScale, which it sold to Marvell. Transistor count of the ARM core remained essentially the same size throughout these changes. ARM2 had 30,000 transistors, while ARM6 grew to only 35,000. The ARM Cortex series is a group of 32-bit and 64-bit RISC processor cores licensed by ARM Holdings. 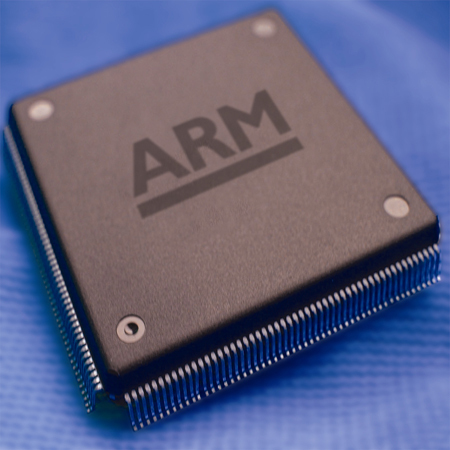 The 32-bit ARM Cortex-A cores implement the ARMv7 architecture. 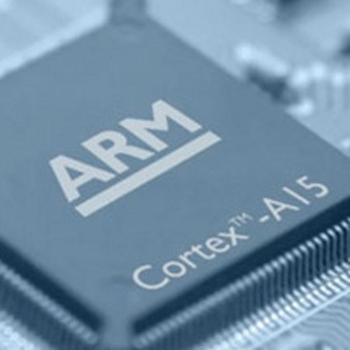 The 64-bit ARM Cortex-A cores implement the ARMv8 architecture. These architectures have evolved over time. A-Profile -- the "Application" profile, implemented by cores in the Cortex-A series. R-Profile -- the "Real-time" profile, implemented by cores in the Cortex-R series. 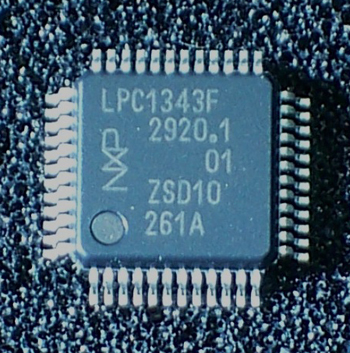 M-Profile -- the "Micro-controller" profile, implemented by cores in the Cortex-M series. The ARM Cortex-A series of "application" processors provide a range of solutions for devices undertaking complex compute tasks, such as hosting complicated operating systems. 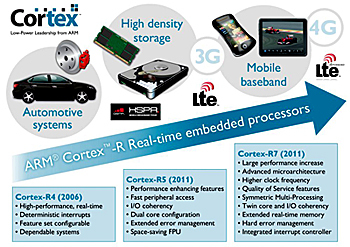 Cortex-A processors scale efficiently across a wide range of performance in consumer, embedded and enterprise devices. These include smartphones, mobile computing platforms, digital TVs, set-top boxes, from Internet-of-Things (IoT) devices to enterprise, networking and server solutions. 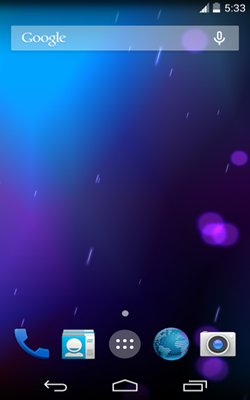 See the Android "Google" image to the left. In an increasingly energy conscious landscape, the low power of Cortex-A processors provide a significant advantage. Device manufacturers can custom design their products for higher clock speeds, very low power consumption, instruction set extensions, size optimization, etc. The Cortex-R series processors provide fast time-to-market devices through proven "real-time" technologies found in billions of products. They leverage the ARM ecosystem with local language and 24/7 support services to ensure rapid low-risk development. Cortex-R processors have key features that are demanded by deeply embedded, real-time markets such as automotive and wireless baseband. The Cortex-M series is a group of processors that are intended for "micro-controller" use. The Cortex-M family is a range of scalable, energy efficient, easy to use processors designed to help developers meet the needs of connected embedded applications. The demands include delivering features at a low cost, with increasing connectivity and improved energy efficiency. The Cortex-M family is optimized for cost, power, and mixed-signal devices. Major applications are: the Internet of Things (IoT), connectivity, motor control, smart metering, human interface devices, industrial control systems, domestic household appliances, consumer products and medical instruments.